Having picked up the fishkeeping hobby at a very early age, I have seen the hobby develop through the years—from its early stages when having a 20-gallon tank with undergravel filter was considered a dream tank, to the present, where a monster tank measuring at least two meters long outfitted with a 3-stage sump filter seems to be the norm for most fishkeepers’ tanks at home. Fishkeeping indeed has come a long way here in the Philippines. Today, the fishkeeping hobby has extended way past the home aquarium and into cyberspace. It has gone beyond a personal hobby. With social media connecting fishkeepers from all over the country and the world, fishkeeping is now a community undertaking. This makes fishkeeping more interesting as the excitement and joys of one’s interest is shared with others with the same passion. This way, valuable information is shared. Sharing information is most common in the numerous fish groups on social media platforms like Facebook and in fish forums across the World Wide Web. However, in this age wherein just about anyone has something to say about fishkeeping, both correct and incorrect information is shared. One of the most common mistakes I always come across in fish groups is regarding cycling a tank. Indeed, everyone talks about cycling a tank and its benefits. Every time a newbie posts that his or her fish died after purchasing his or her first tank, every fishkeeper crowds the thread with replies blaming improper cycling as the reason for death of the fish. Yes, to some extent, this is true. 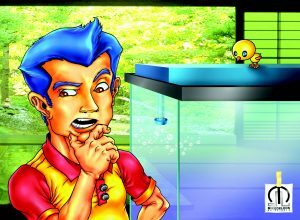 We all know that if a tank is not yet properly cycled, there are toxic substances in the water that can poison the fish in the tank. It appears that while everyone knows the benefits of cycling a tank, it seems not everyone knows the process of cycling the tank. It seems that those who bring up cycling a tank have a lot of misconceptions when discussing the principle. I am sure their objectives are pure but some fishkeepers simply cannot express themselves correctly because they are quick to the draw and excited in pressing the return button without really reviewing what they said. Thus, incorrect information is shared. It is very common for fishkeepers to use the term “cycling a tank” loosely. 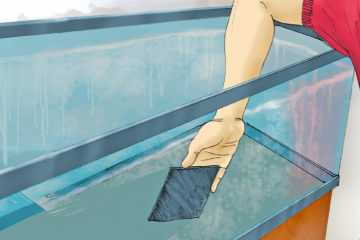 Because it is a basic concept in proper fishkeeping, some use it without really knowing what it means. Many times, you read comments like “cycle your tank for a week, then you may put in fish.” This, of course, is not true. For one under normal aquarium conditions, cycling a tank takes more than a week and it is generally accepted that cycling takes about four weeks. Second, without any source of ammonia like fish, cycling will never take place. Cycling a tank is always discussed in all fish groups, fish forums, and aquarium fish pages. My favorite definition was one posted in a fish forum: it was an image of a person in scuba gear riding a bicycle underwater. This of course elicited a lot of laughter among the fish forumers because they knew it was totally incorrect. In truth, cycling a tank is the successful completion of the nitrogen cycle in a newly established tank. A newly set up tank will have to undergo several stages of the nitrogen cycle for it to become a viable environment for our fish. The cycle begins with a newly set up tank outfitted with a filter. The filter is supposed to keep the water clean. But at the onset, your filter has no filtration capability because it lacks the most important ingredient: beneficial bacteria. These bacteria are responsible for the decomposition process of organic materials that otherwise would pollute your aquarium. All organic matter inside the tank will decompose. In the first stage of the nitrogen cycle, fish food, fish waste, urine, dead leaves, etc. will rot and turn into ammonia, which is highly toxic to fish. After about seven days, the cycle shifts to the next stage and will develop nitrosomonas bacteria in the filter media of the filter. These kinds of beneficial bacteria will consume the ammonia and convert them into nitrites, a substance less toxic than ammonia but nevertheless still poisonous to fish. After another seven days or so, another set of beneficial bacteria develops in the filter media as it enters the third stage. This is nitrobacter bacteria, which consumes nitrites and converts them into nitrates, the least toxic of the three substances. It is only when a healthy population of nitrosomonas and nitrobacter bacteria is thriving in the filter media and can efficiently process ammonia into nitrites and into nitrates that we can say that the tank has fully cycled. At which point, when you test the water, your reading should be zero for ammonia, nitrites, and nitrates. Time; the nitrogen cycle takes about four weeks or a month to accomplish under normal aquarium conditions. After about a month, test your water for ammonia, nitrites, and nitrates. If their levels are at zero, this is confirmation the tank has fully cycled. You now have a tank with a biologically functioning filter that can efficiently process organic matter to less toxic substances and make your tank habitable for your fishes. This process is called cycling a tank. Some fishkeepers confuse cycling a tank with circulating a tank. Circulating a tank is merely turning on the filter of your tank and letting water flow through it. This moves water from the tank though the filter and back to the tank. The missing element is the fish or the source of organic matter. In a barren system devoid of organic matter, beneficial bacteria will never develop in your filter media. A filter devoid of beneficial bacteria has no capabilities of processing the water. Circulating the tank also has benefits. For one, water movement caused by turning on the pump and filter aerates the water. This is very good for the future inhabitants of the tank, which are the fish, and also a good preparation for functional organisms like beneficial bacteria. Second, circulating the tank a few days also removes chlorine from our tap water. Chlorine, as any fishkeeper knows, is used to purify our water. However, this is very poisonous for fish. 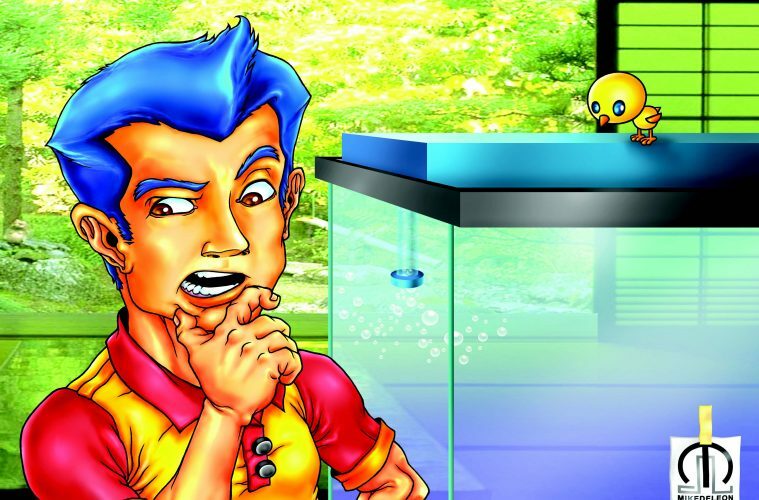 Thus, in any set up, chlorine is the first substance that all fishkeepers would like to remove. By circulating the tank for a few days and removing chlorine, we make the water safe for fish to thrive in. 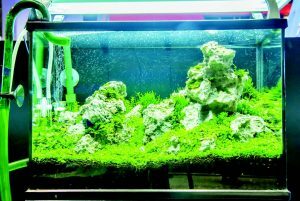 Now that cycling a tank and circulating a tank have been defined and the differences sorted out, the best recommendation should now be explained to newbies who would like to take the fishkeeping hobby. This is to circulate the tank for a few days then put in some fish and cycle the tank for a month. After the tank has cycled, it will be safe to put in more fish because you already have a biologically functioning filter. You are well on your way to having a successful tank. Of course, because the fish are fed and they metabolize and poop in their tank, in time, nitrate levels will increase. The tank will grow algae in the glass panels and decorations. After some time, the tank in general will get dirty. Thus, the fishkeeper will have to do a little tidying up. This is called “tank maintenance.” Tank maintenance is another task that all fishkeepers will have to be responsible for—but this is for another column. This topic is very informative and well explained. Good job fishy guy.